When it comes to protecting your home and your family, you can never underestimate the importance of your front entry door. 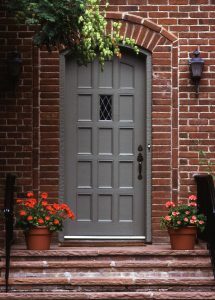 Sure, you want a front door that looks great and enhances your home’s curb appeal, but you also want a door that is going to stand up to daily wear and tear, harsh weather conditions, and anything else life can throw at it and still look great for years to come. That’s where West Shore Home comes in. We offer a wide selection of steel entry doors that can provide you and your family with the security you desire while also catching the eye of every passerby. We install steel exterior doors that are expertly crafted by ProVia, one of the most trust manufacturers in the industry. Made from hardwearing 20-gauge steel, these doors will provide your home with unparalleled beauty and security for many years to come. They are available in a number of beautiful woodgrain style finishes, but unlike real wooden doors, these steel front doors will not split, crack, or warp. They have been rigorously tested and certified by independent laboratories, have passed forced-entry tests, and have been rated to meet or exceed all ENERGY STAR® standards, making them a highly sought after product among our customers. To learn more about the heavy-duty steel entry doors that we install in just one day, contact West Shore Home. We proudly serve the cities and surrounding areas of Pittsburgh, Harrisburg, Lancaster, and Tampa.